bathroom and bedroom sector. This qualification is long overdue in what is an increasingly important part of our industry. of the ways in which we can help our members to compete in what is an increasingly global marketplace. 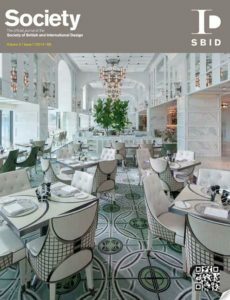 In this issue, we devote space to celebrating the winners in the latest SBID International Design Awards. If there is anyone in doubt about the creativity and vitality of our industry, the work of our award winners, and of all the award finalists, should put paid to their concerns.